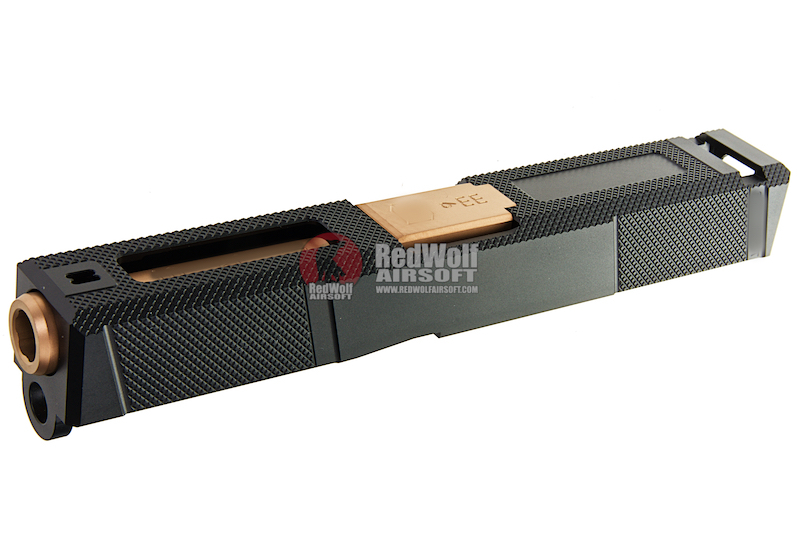 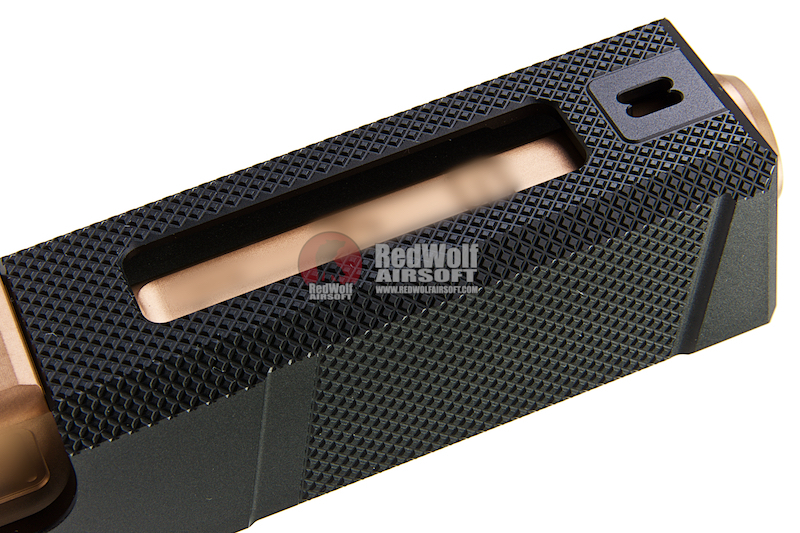 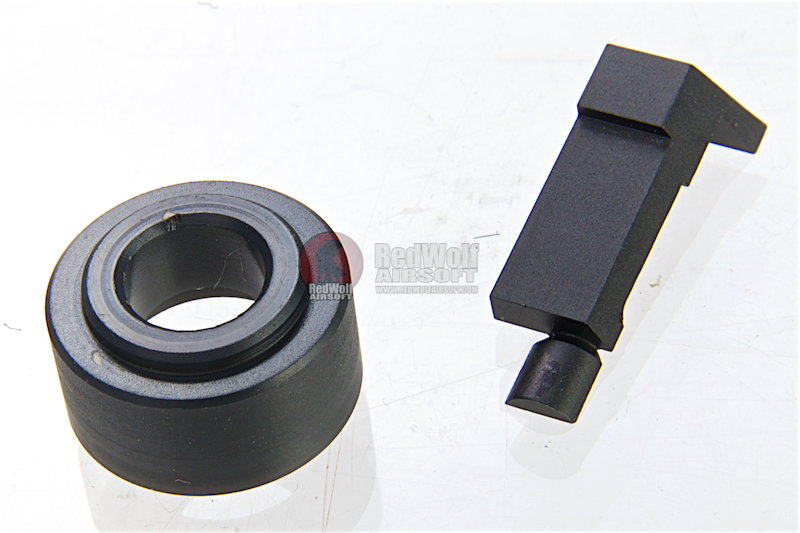 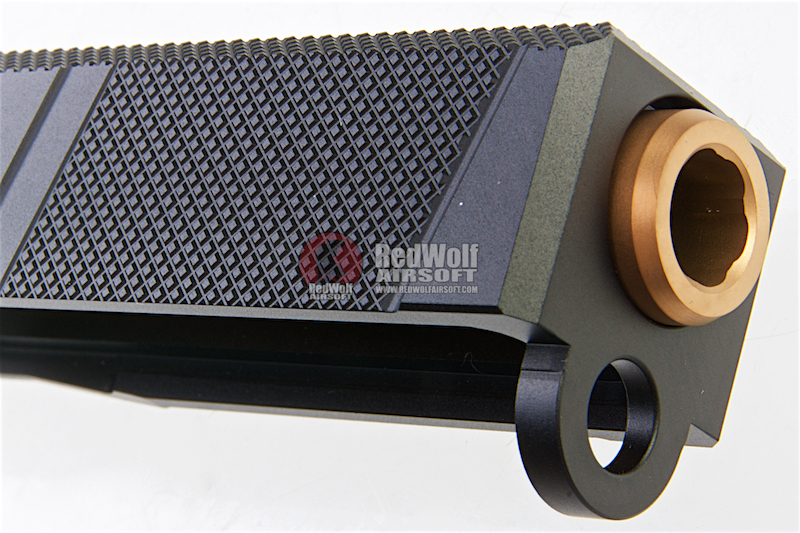 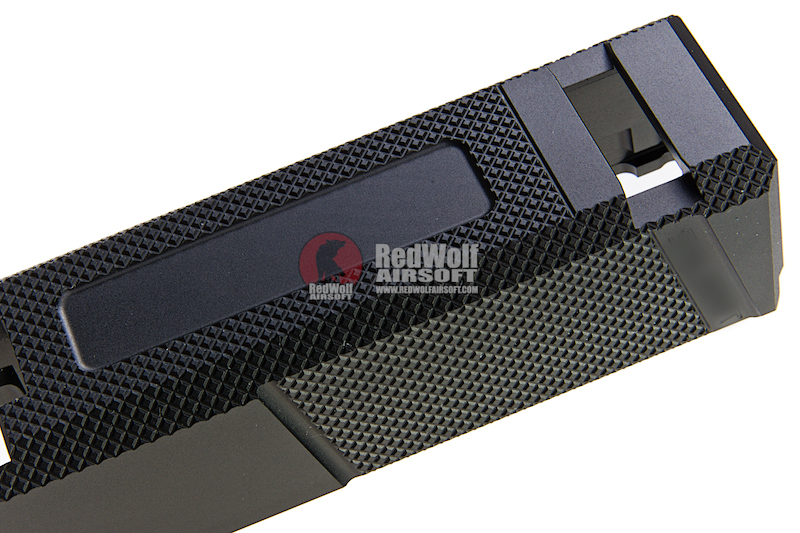 The Guns Modify SA T1 aluminum slide is a high quality CNC-ed slide. 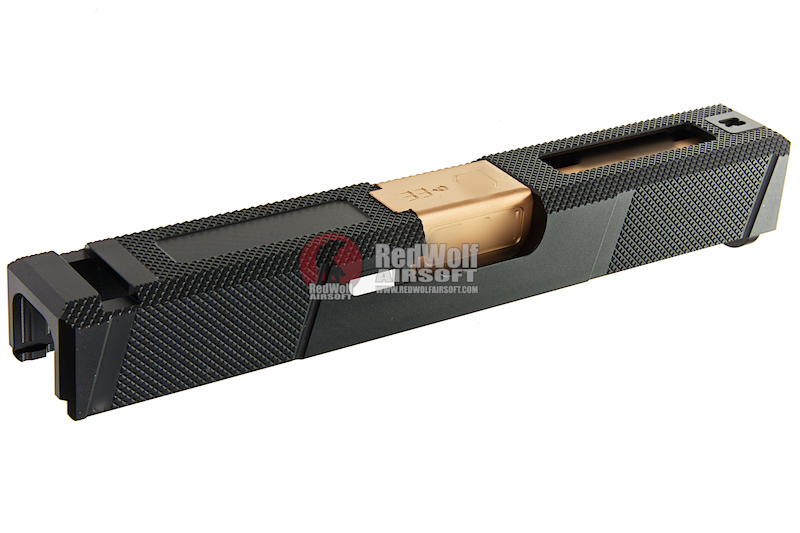 The UTI slide features a different style to checkering up front and towards the rear providing for added grip for manipulation. 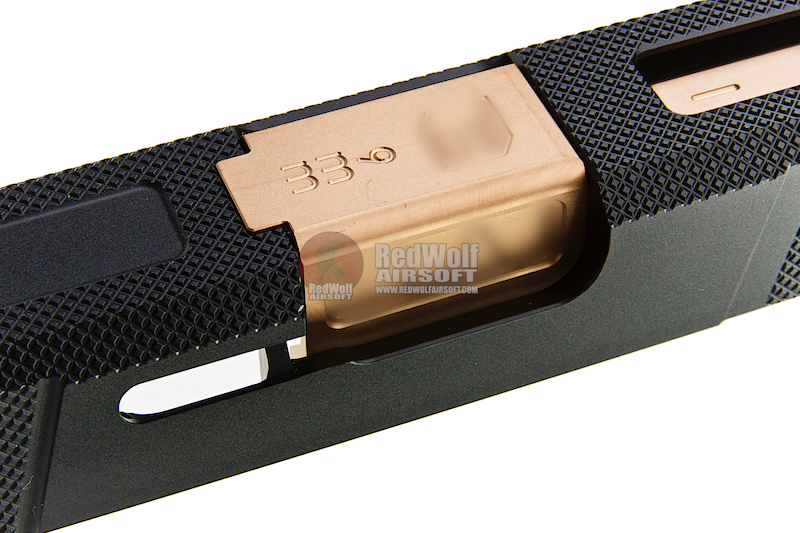 The slide is light weight and robust and its styling adds subtle flare to your stock TM G series model 19.